This info is needed before I can begin your design process! WIRED OR FLOPPY (NO WIRE)! Limited! Wired hats can be positioned. Floppy Hats have no wire. Personalized with your custom saying. Natural Color Only. Note: The wired hats are slightly darker in natural color. IMPORTANT: LONGER NAMES WILL BE DESIGNED SMALLER THAN PICTURE SHOWN DUE TO HOOP CONSTRAINTS. This is my pretty little Mrs. Hat! You may substitute ribbon colors, thread colors, etc. 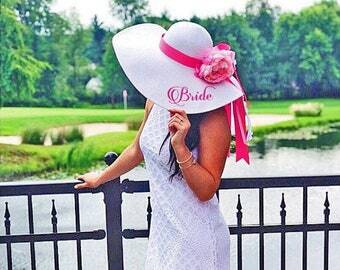 Need custom group bridal party hats??? Convo for quote! Specialty ribbons and laces, etc. are not included in this sale. IF YOUR HAT REQUIRES MORE THAN ONE HOOPING, THERE WILL BE ADDITIONAL CHARGES. So sorry, but I can only ship to continental USA. No 3rd party shipping unless approved. I ADORE this hat - it is absolutely perfect and feels so special since it was customized for me. 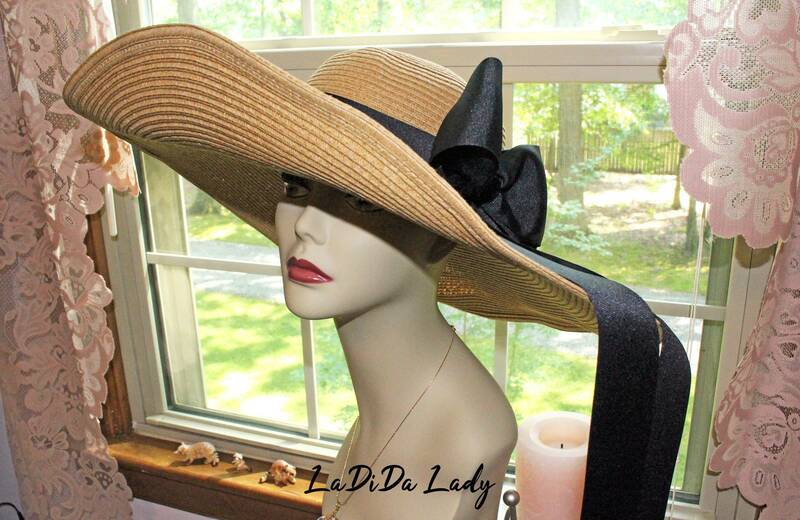 The big ribbon detail, the beautiful embroidery, the size and shape of the hat - it's just beautiful. Thank you again for a wedding keepsake!